What is it about blonde, blue-eyed girls that makes people go gooey in the brain? 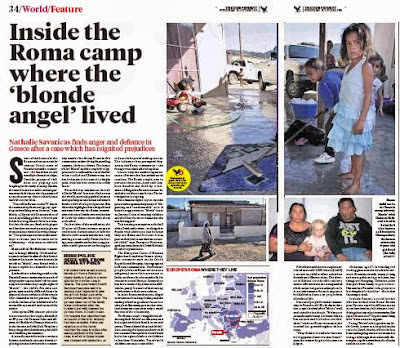 Last week Greek police raided a Roma camp in search of drugs and guns - and came away with the little girl above because she had blonde hair and blue eyes. They also arrested the couple who said they were her parents and charged them with abduction. 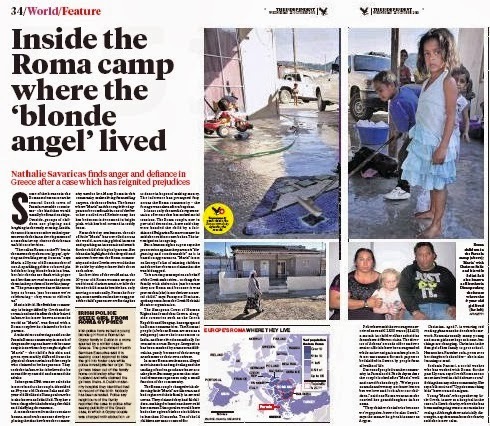 Inspired by the story, a public-spirited citizen in Ireland called the TV3 television station to report another blonde moppet living with a Roma family in West Dublin. And not only was she blonde, but she also spoke much better English than the rest of her family. The Garda, never knowingly slow off the mark where child safety is concerned, went to the given address on Monday afternoon and took the little girl away from her family. Even though she was apparently healthy and well cared-for, health workers applied for an eight-day care order. 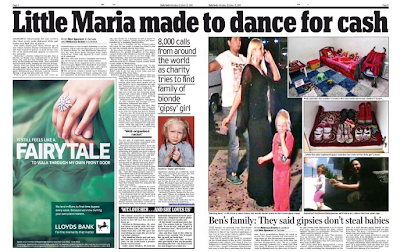 The Garda's action came as part of what the Mirror describes as the 'high alert in the international hunt for child trafficking' sparked by the Greek case. Indeed the Irish police were so motivated that they went on to take a blond-haired, blue-eyed toddler from another Roma community in Athlone at ten o'clock last night. The little boy was also taken to a health centre, where he was given a DNA test, and was placed in the care of the Health Services Executive pending the results. The lad was returned to his parents at lunchtime today after the police announced that they were 'satisfied about his identity'. Well that's all right then. So long as the police are satisfied, all's well with the world. And what about the parents left distraught and crying as their baby was taken from them? And their other child, who was 'confused and crying for her brother'? And now tonight we learn that the little girl from Dublin has also had a DNA test which shows that her parents are her parents. Well you really can't be too careful, can you, when a child's welfare is at stake. There isn't a moment to be lost - not a moment to notice that other members of the family also have blonde hair, for example. The Greek case has really stirred the pot. The little girl from Farsala - who may be four, five or six - was delivered into the care of the charity Smile For The Child, which issued some photographs as part of an international appeal to discover her true identity. In this case, at least, we know that the couple who care for her are not her natural parents. They submitted to a DNA test and have given a variety of explanations of how she came to live with them. These include that she was left with them wrapped in a blanket at birth and that they had taken her into their family as an act of kindness to a Bulgarian woman who said she could not look after her. Weekend update: A Bulgarian woman came forward after seeing the charity's appeal and offered to give a DNA sample, saying Maria was her daughter. Sasha Ruseva said that she had been working as an olive picker in Greece when the child was born in 2009. Mrs Ruseva and her husband are believed to have ten children, of whom five bear a strong resemblance to Maria. She said that she had given the baby to the couple charged with abduction because she was too poor to look after her. She denied suggestions that she took any payment. The DNA test proved that she was indeed Maria's natural mother. The charity's appeal resulted in calls from between eight and ten thousand people, and at one point it thought it had eight serious leads as to her identity. For the time being she is known simply as 'Maria' or, inevitably, the 'blonde angel'. Goodness knows why she is called either, no newspaper or website has offered any explanation, nor said who created these sobriquets. Eight thousand calls is an awful lot. 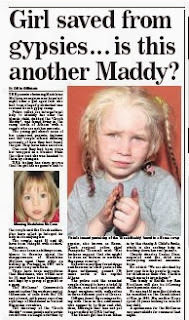 On the night of the Crimewatch special on Madeline McCann, which attracted 6.7m viewers last week, the police were ecstatic with the respond from the thousand callers. This doesn't, of course, mean that 8,000 people had any idea of who the child might be. But a lot of them were hoping that she might be theirs. People like Jeremy Irwin and Deborah Bradley of Kansas, whose daughter Lisa was abducted in the middle of the night two years ago this month. Lisa was 11 months old, so going by age alone, she was unlikely to be the same girl. It does, however, give an indication of how many parents there are out there desperately hoping to be reunited with missing children. The McCanns and the Needhams (Ben Needham disappeared, aged 21 months, while on holiday in Kos in 1991) are not the only ones. Asked for their reactions to the Greek case, the two British families' representatives said it proved that they were right to keep hoping. This is particularly so for the Needhams, given that Ben was taken on a Greek island and the fact that they have consistently expressed their belief that he was probably living with a Roma family. You have to admire both families for their determination, even though it would again have been refreshing had they taken the opportunity to offer support to others in their position. Saturday's front is particularly egregious. Look at that sub-head. 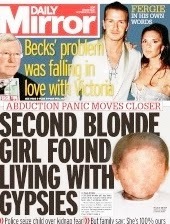 'Stolen girl turns up safe at gypsy camp'. Turns up safe? We still don't know who she is. 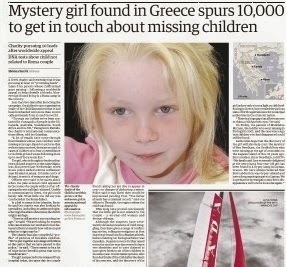 What we do know, because the paper tells us, is that the little girl in Farsala is not only known as Maria and the blonde angel, but also as the 'Greek Maddie'. 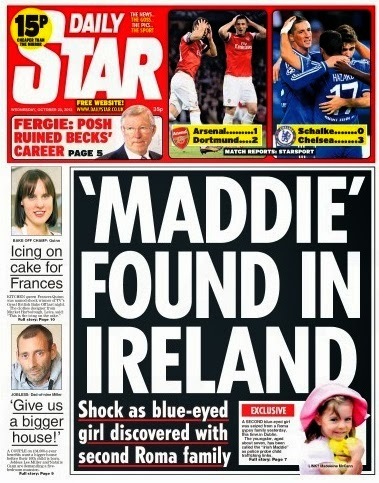 While the girl from Dublin is, naturally, the 'Irish Maddie'. In fact, she doesn't say any such thing. Leighanna is Ben Needham's 20-year-old sister and she says that she would like to give a DNA sample to see whether she is related to Maria. Ben would be 24 next Sunday, so Leighanna is working on the assumption that he grew up in Farsala and has fathered at least one child. She builds that assumption on an alleged sighting at the camp in 1996 - when she would have been 3 - and a suggestion from someone there that the blond boy in question had come from Kos. The sighting was never followed up by police, she says, because they were too scared to go into the camp which was home to 'bad gypsies'. 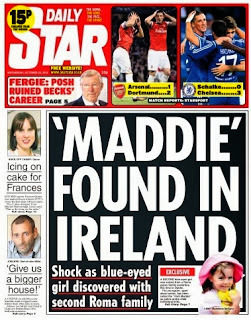 Most papers mention the McCanns and Needhams, and it does seem reasonable to ask them for quotes, but most are quite restrained in making the link. 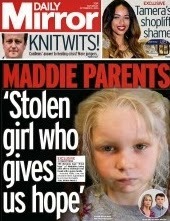 The Mirror went for a 'Madeleine' splash on Saturday, but the text was quite measured. Today it pointed out early in its coverage that there was nothing to connect the Irish and Greek cases. What a pity it spoilt it all by running a full-face picture of the little boy from Athlone - although someone recognised the error as he is pixilated on the website. There are laws, rules and guidelines on publication of photographs and other information about children, all designed to protect them. Clearly, when a child is missing, it is in everyone's interests to show what he or she looks like, what they were wearing and anything else that might light a spark in a bystander's mind. With 'Maria' in Greece, there was some reason for using the pictures released by Smile for the Child. But with the two children in Ireland, there was no appeal to discover who the children were - thank goodness, since they turned out to be exactly who their parents said they were. 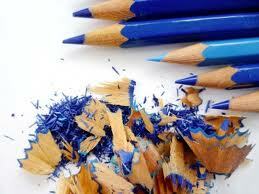 So there was no justification for using any material that might identify them. That includes pictures of the children themselves, their relatives or where they lived. 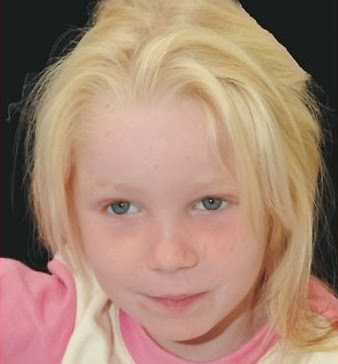 It could be argued that even naming the part of Dublin in which the girl was found went against best practice, given that her looks were so extraordinary in that context that police felt she could not legitimately live there. As they said, 'she stuck out like a sore thumb', so working out who was the child in the story would have been a piece of cake. OK, so our laws may not apply in these cases as they are outside the United Kingdom, but that doesn't mean that the guidelines should be discarded. Remember we are talking about three very young children who have been taken from the only families they have ever known on the basis of their hair colour. Once again newspapers have allowed themselves to suspend common sense and good judgment because the police said it was all right. When Peter Sutcliffe was arrested, Yorkshire police were so beside themselves with glee that they merrily called a press conference announcing that they had caught the Ripper. Newspapers got carried away and found themselves at odd with the laws of contempt. It doesn't matter whether information comes from the chief constable, the Prime Minister or the Archbishop of Canterbury, if there is a rule that such material should not be published, then it should not be broken without very good reason. And 'The policeman said so' doesn't count as a very good reason. The whole tenor of the coverage of these stories leaves a sour taste in the mouth, starting with the quotes from the Greek police chief, Vassilis Ilalatsis: 'It is obvious that we are faced with a very well-organised racket, and it is certainly not the only one.' Costas Yannopoulos, director of Smile of the Child, agreed. He said evidence so far pointed to 'Maria' having been trafficked. Of a video in which she is seen dancing, he said: 'You can see her dancing round and round like a little trained bear. I believe they were getting money from exploiting the child.' The Mail writes about 'two upsetting videos'. The first, below, is of the girl with a dummy in her mouth dancing for the camera. She keeps going out of shot and is guided back to the spot by a woman. Neighbours said the couple gave Maria special treatment because of her blonde hair. The couple posed as parents to a blue-eyed girl known as Maria, seemingly to make money from her begging. Neighbours suggested they could have purchased the girl for as little as £850. Locals said Maria was seen begging in a market two weeks ago. Words such as 'camp' and 'settlement' create an image of a scruffy caravan site, but Maria and her family lived in a smart-looking bungalow. Pictures of her bedroom show toys lined up on the bed - but these, according to 'locals' or 'neighbours' were collected and placed specially for the cameras. Not only that, but the only bedroom and the only cupboard in the house were 'reserved' for Maria - the implication being that she was a valuable commodity that had to be cosseted. Only the Independent and its sister the i tried to keep any real perspective with spreads by Nathalie Savaricas in which human rights experts are allowed to raise the question of racism by presumptuous authorities and to suggest that the parents are being prosecuted for abduction 'on the basis of appearances'. One points out that Maria does not feature on Interpol's list of missing children, nor has anyone put forward any evidence that she was kidnapped. The parents freely admitted that she was not their natural child, and while there are inconsistencies in the various stories of how the girl arrived at Farsala, all talk of child-trafficking rings and of her being 'stolen' is pure speculation. We do know that the couple claimed £7,000 a month in benefits for 14 children, registered as though they were all born within a 10-month period. But again most papers choose to leave out the fact that only four children have been accounted for. Much simpler to leave the reader with a mental picture of a filthy home overrun with children. Yes the couple are clearly benefit fraudsters, but that doesn't make them child traffickers or kidnappers. They may yet prove to be just that, but to start from that standpoint makes a mockery of the principle of 'innocent until proven guilty'. The actions of the Irish police were, if anything, even more alarming: they removed two children from their families on the basis of a telephone tip-off and a stereotypical idea of what a Roma child should look like. If every police force behaved like that, every mixed race family would be at risk, any adopted or fostered child could be taken into care, any 'throwback' child whose forebears' genes had come through could be separated from his or her siblings. Yes, checks would soon show where they belonged. But there has to be a better way than simply blundering in on the flimsiest excuse.